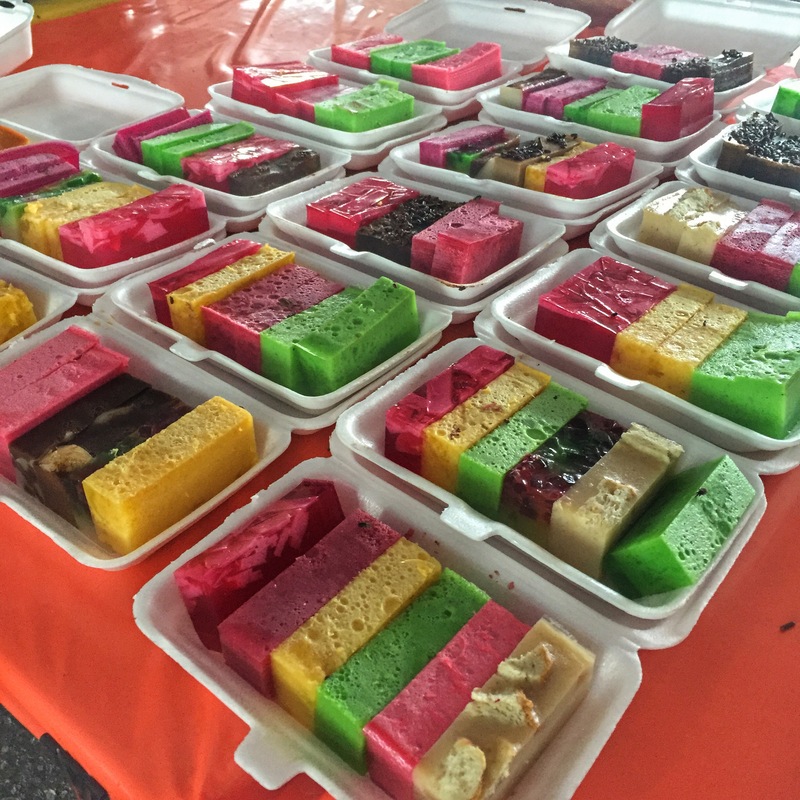 Malay food. Two words that need to be spoken more and seen more often on the food scene. 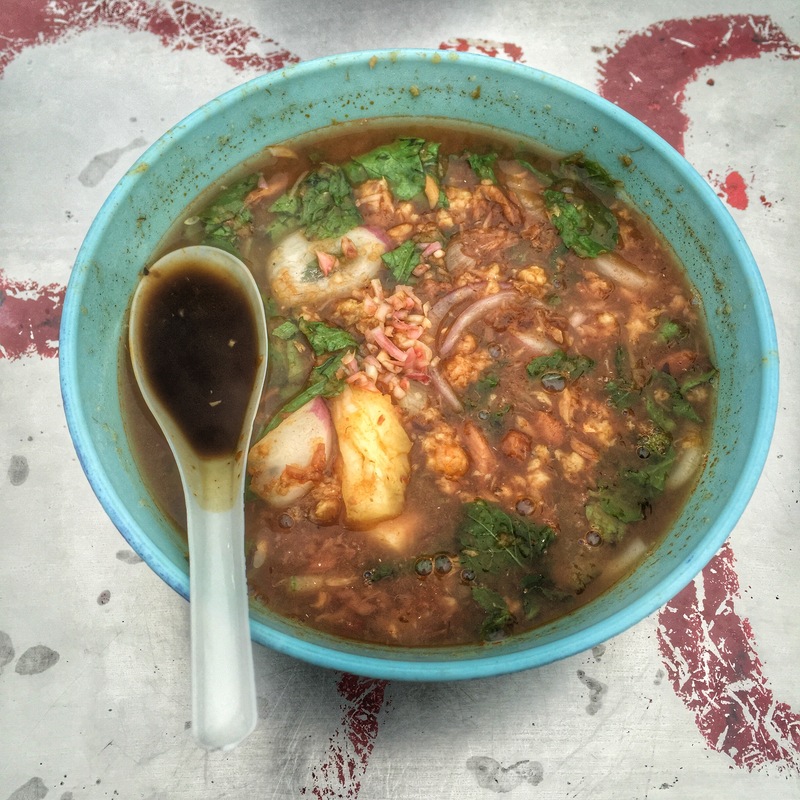 Before my trip to Malaysia, I had never eaten Malaysian (Malay) food. I hadn’t really heard of it before either. 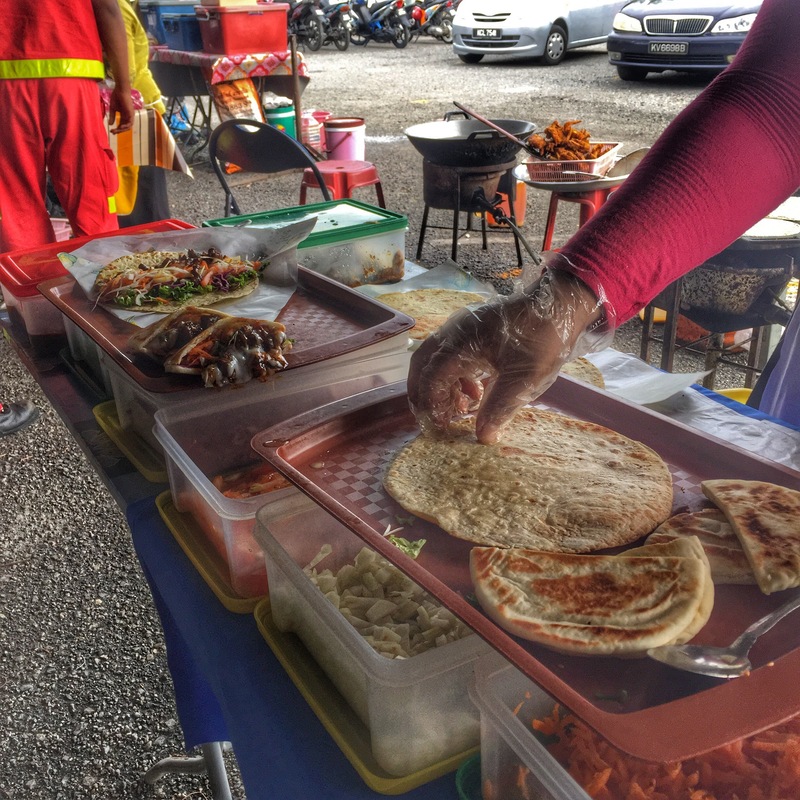 It’s larger rivals…Thai, Indian, Mexican, Italian, Chinese…just to name a few, have overshadowed Malay food and it just isn’t fair. 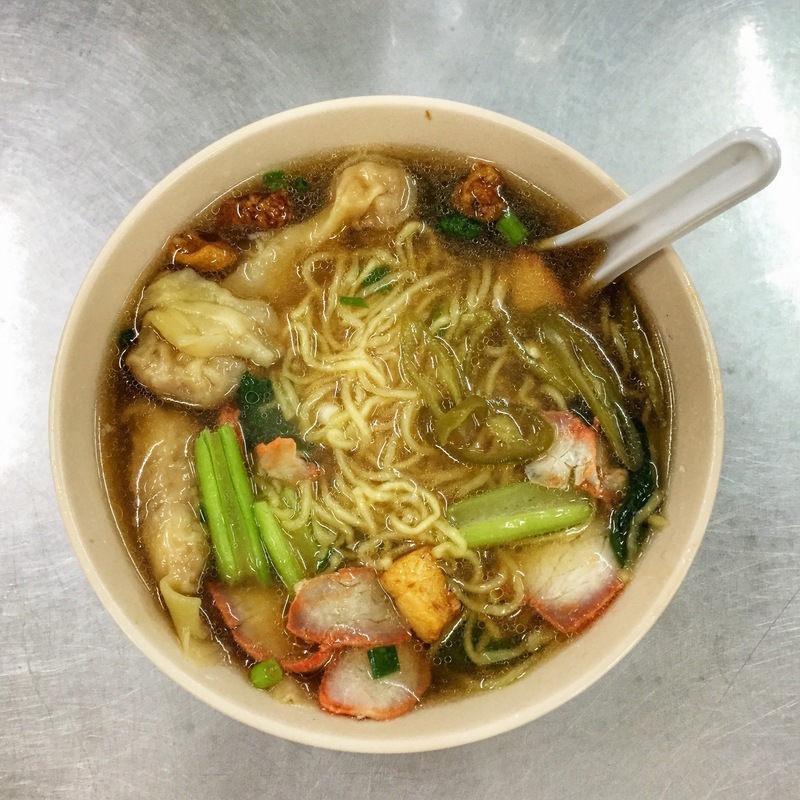 My week in Malaysia was filled with food. All I did was eat and eat. The only sightseeing I did was on my way down the street to the next hawker stall or restaurant that awaited me. By the end of my trip, I was afraid I would have to be rolled onto the plane due to the severe food coma I was in. So when I think about Malaysia I naturally think of food. 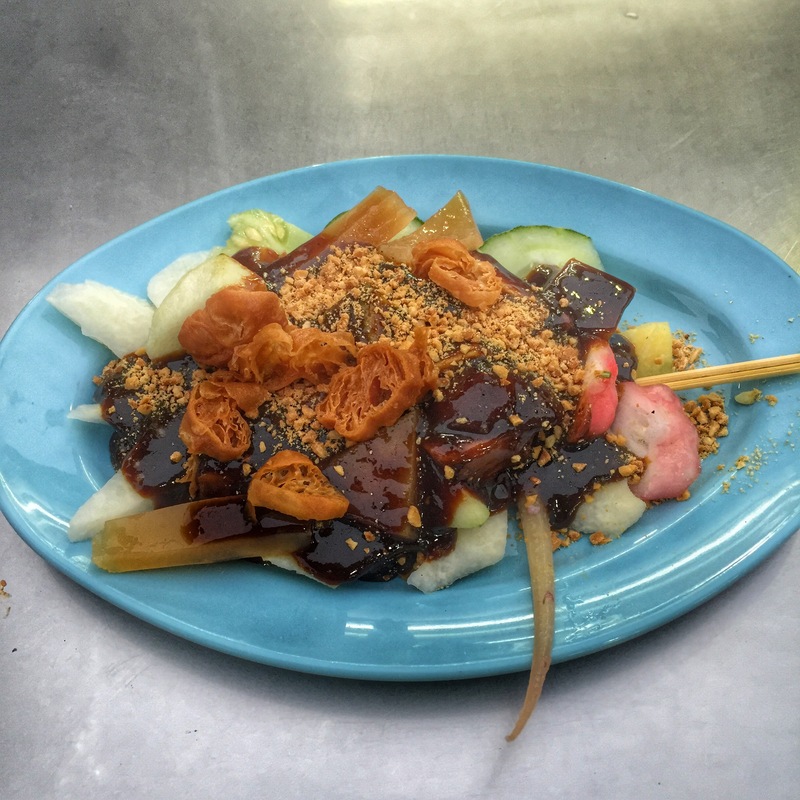 The food is a wonderful combination of Indian, Chinese, and Thai influence. My taste buds were in love with me. 1. 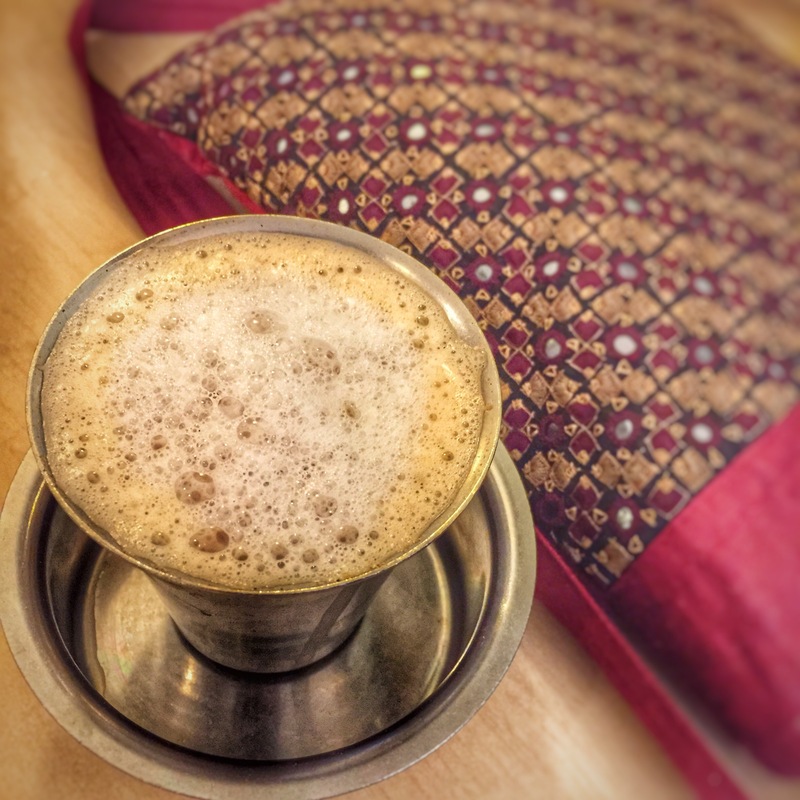 Masala Tea- I found this tea in a vegetarian Indian restaurant and ended up drinking 2 cups in 30 minutes… It tastes like Chai tea’s long lost cousin. Enough caffeine to perk you up and a smooth flavor that lingers on your pallet long after your first sip. Basically, it is addicting. 2. Shrimp Cake Dish- Obviously this is not the real name of the dish. I have searched everywhere for it’s name and have not had any luck. If you know the name please let me know! It is a combination of shrimp, buttery batter, herbs, and spices. 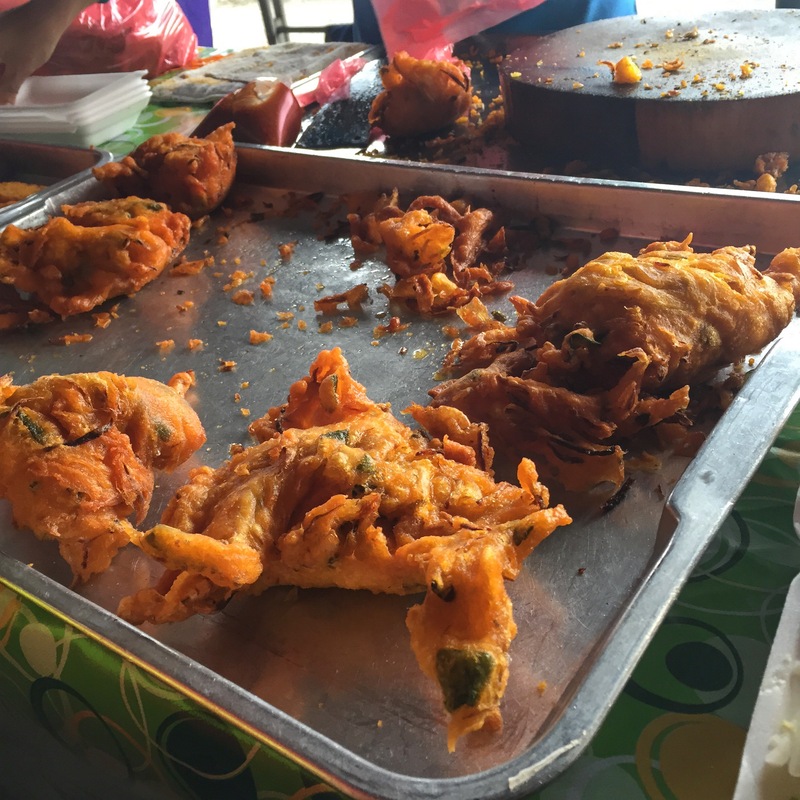 Once it is done deep frying, it is chopped up with a cleaver into tiny pieces and topped with vegetables. It is scrumptious. 3. 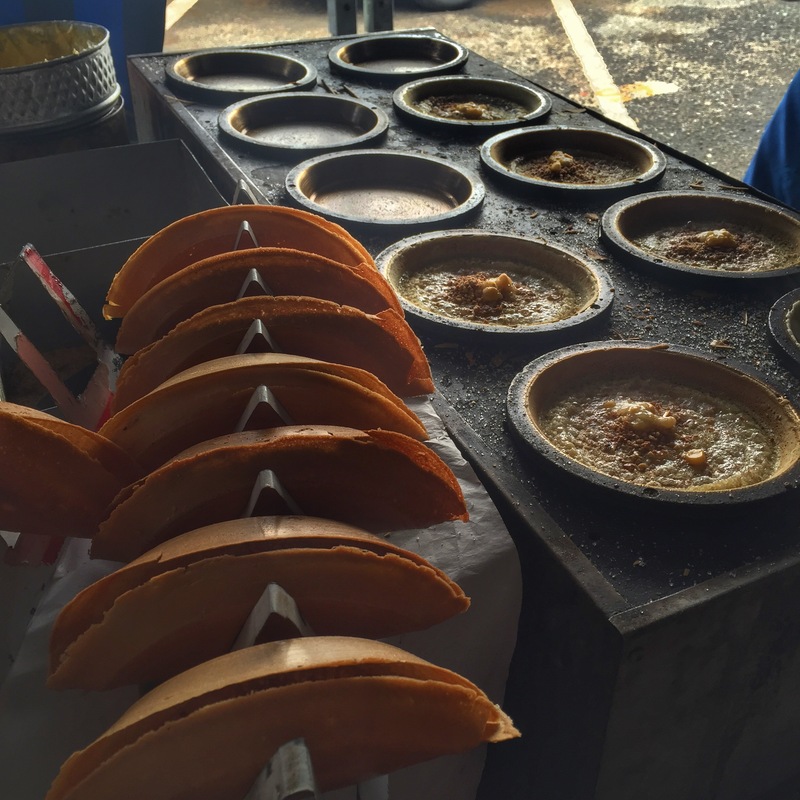 Apam Balik – This sweet dish will have you coming back for more. It is best eaten right after it comes out of the skillet. A warm buttery, salty and sweet dessert taco with a sprinkle of corn inside. Mmmm. 4. 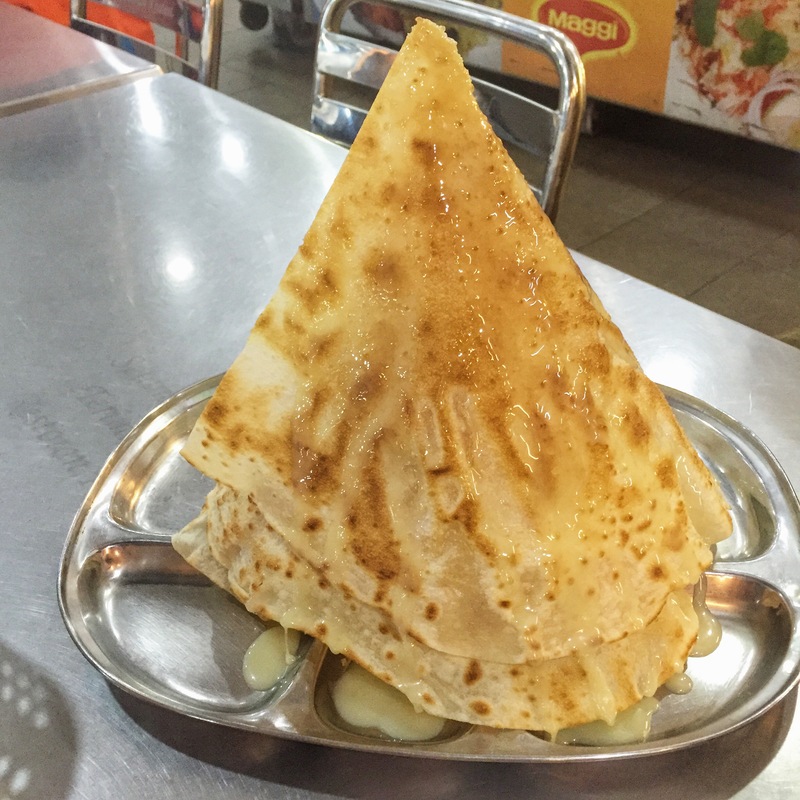 Roti Tissue – It looks like a volcano of goodness and it is. Sprinkled with sugar and drizzled with condensed milk. Break it off piece by crunchy piece and try to savor every bite! 5. 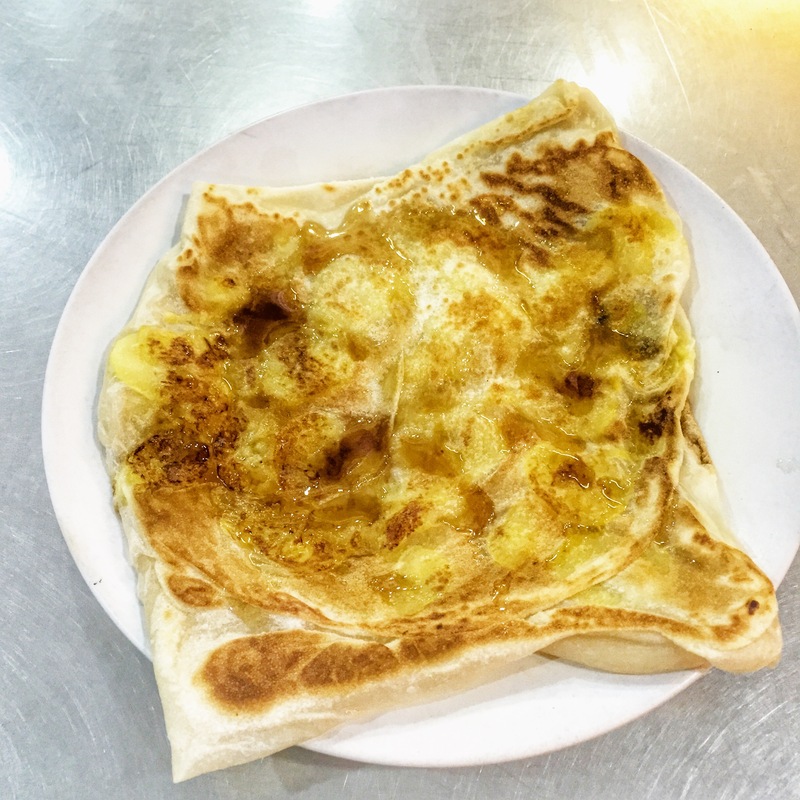 Murtabak- Similar to a thin pancake. These can be filled with honey and bananas or with a chicken curry mixture. The possibilities and variations are endless. 7. Roti Jala- This flour batter is egg-y and has a spongy consistency. It is folded into a beautiful square and then topped with a sauce. You can have it sweet or spicy! 8. 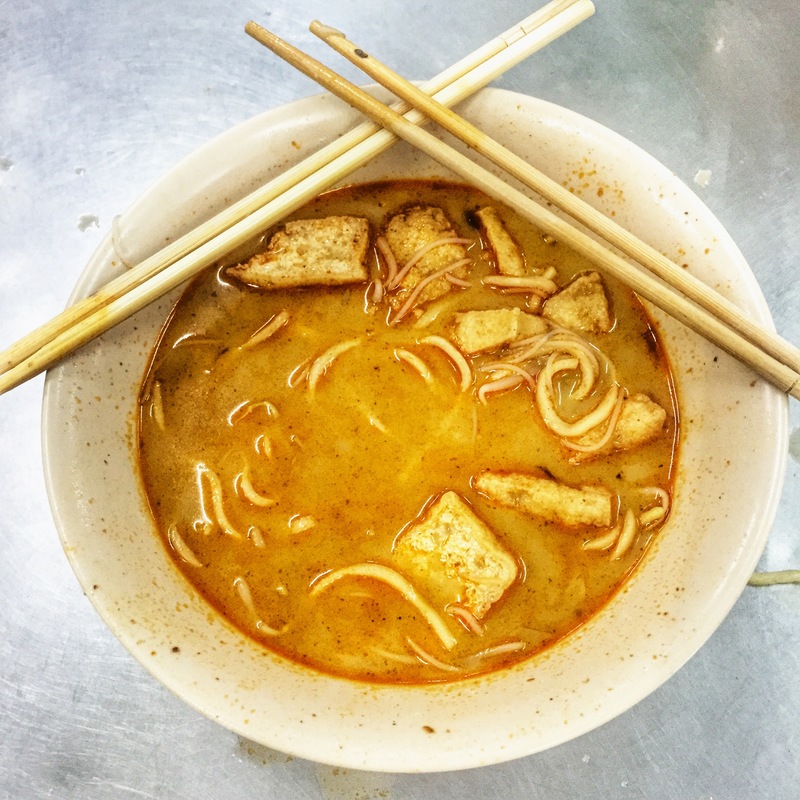 Curry Mee – Exactly what it sounds like. A tasty blend of curry and coconut milk with the addition of yellow and vermicelli noodles, bean curd, prawns, cuttlefish, and bean sprouts. 9. Chicken Satay- Chicken that has been marinated in a special concoction of spices and smothered in a spicy sauce. The chicken looks like it has been dyed yellow from the spices in the marinade as it cooks on top of smokey coals. 10. 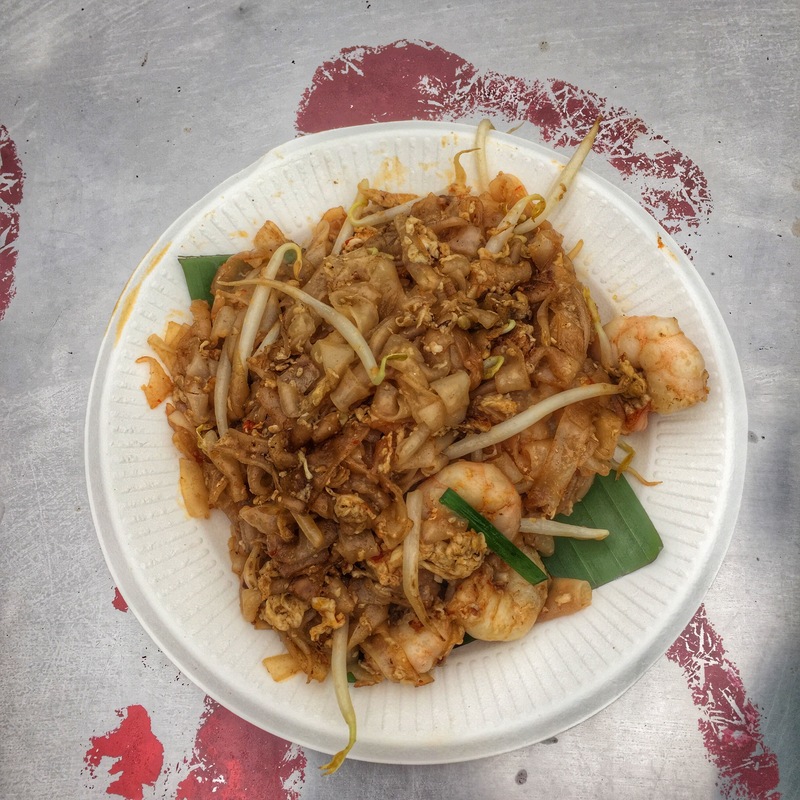 Char Kuey Teow – Medium wide rice noodles that have been stir fried with egg, shrimp, vegetables, and Chinese sausage in a dark soy sauce. Be careful not to inhale it on your first bite. 12. Malaysian Pita Pocket- Alright another dish that I can’t find the name of, but it is oh so delicious. Homemade flat bread stuffed with seasoned chicken or beef and fresh vegetables. The merchant will then point to 6 different bottles holding brightly colored sauces. I just told her to do her thing and it turned out finger licking good. Messy, but good. 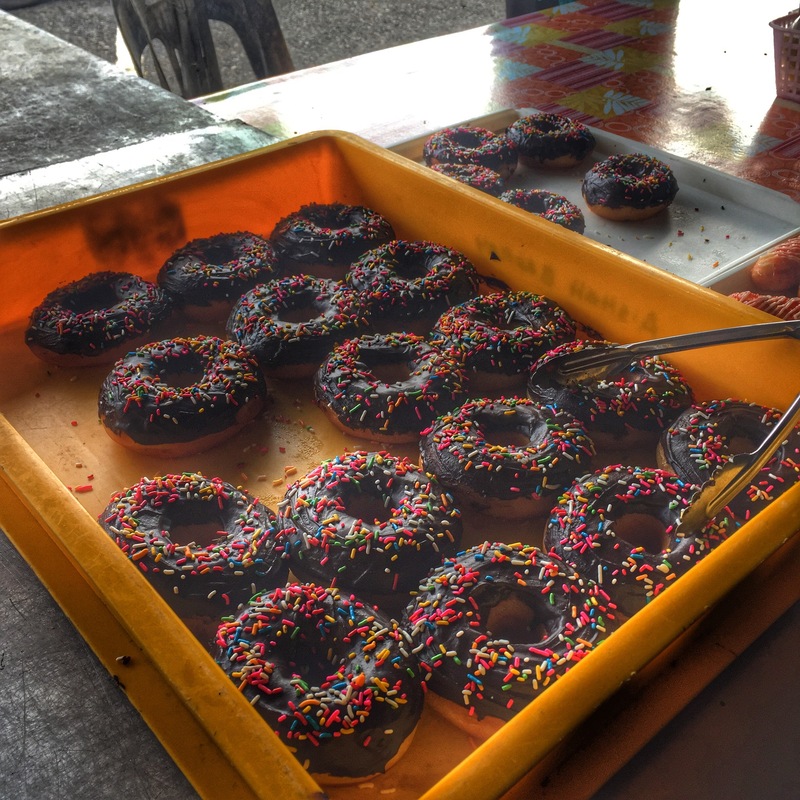 If you are ever in Malaysia I hope you eat your little heart out like I did. 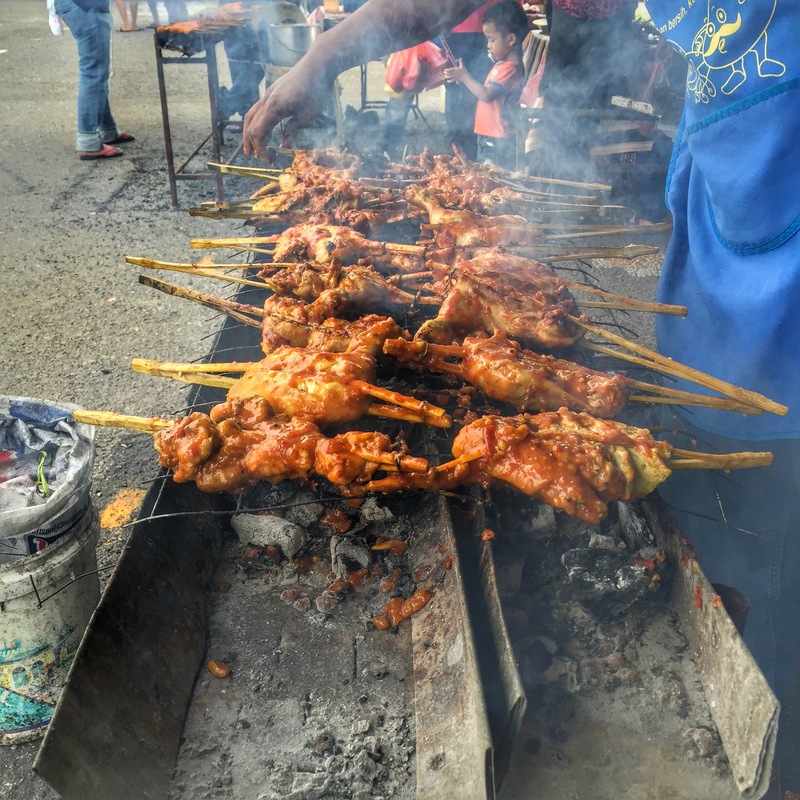 If you can’t make the trip to this wonderful country look somewhere closer to home for a Malaysian restaurant and experience the flavor and passion found in Malay food. If you know the correct names for the dishes I couldn’t recall, please let me know! 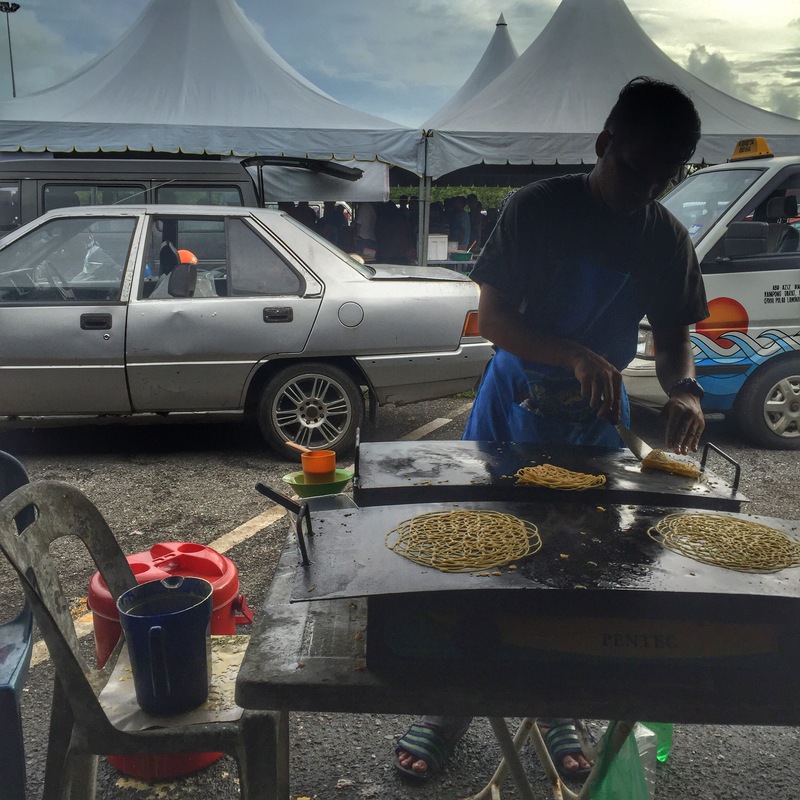 Tags: cooking, eating, food, Malay food, Malaysia, street food, travel, wanderlust. Bookmark the permalink. Previous post ← Island Hopping: Which Thailand island is best for you? Wow, that satay looks so good!